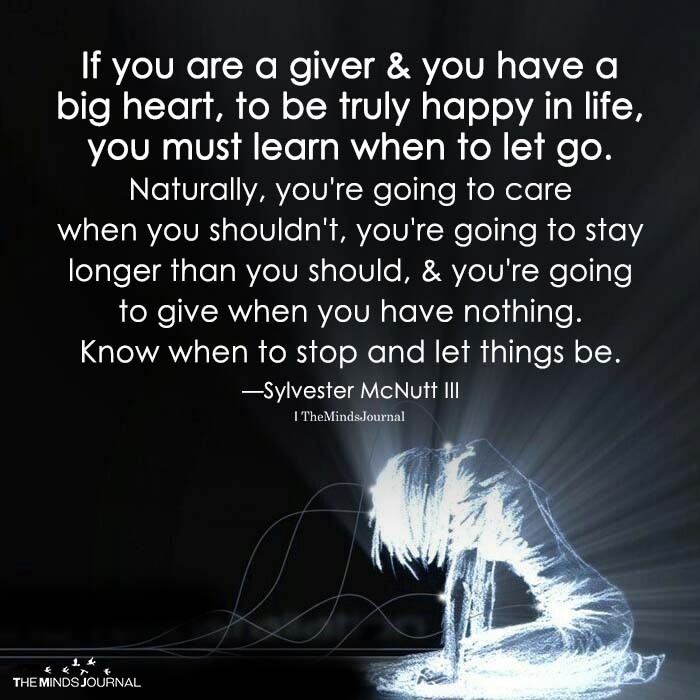 If you are a giver & you have a big heart, to be truly happy in life, you must learn when to let go. Naturally, you’re going to care when you shouldn’t, you’re going to stay longer than you should, & you’re going to give when you have nothing. Know when to stop and let things be.